9.30am It’s time for Caroline and I to set up registration put the signs out and get the refreshments ready, and with our little helpers we’re done in no time. Ready to welcome our 40+ auditionees! 10.30am Vikki from Dove Models has arrived and our panel is now complete. We’ve caught up and are all raring to go! 11.30am Intros done. It is time to walk. 12.00pm In groups of five they’ve given sass even Queen Bey would envy (maybe) and our budding flower girls have made everyone ‘aww’ to their hearts content. So it’s time to pump up the volume and get our dancing shoes on. (X Factor voice over style) IT’S THE DANCE AUDITIONS. 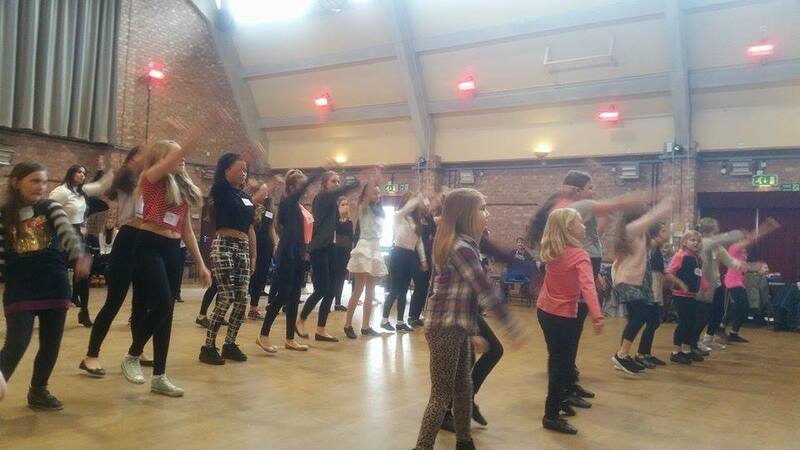 12.40pm They’ve learnt it…danced all together…then danced in small groups…I’m panting. 13.30pm It’s been unbelievably difficult but the decisions have been made. We have our Truly Marvellous Models. What a day. Posted in Truly Marvellous Wedding FairTagged auditions, models, weddingsBookmark the permalink.